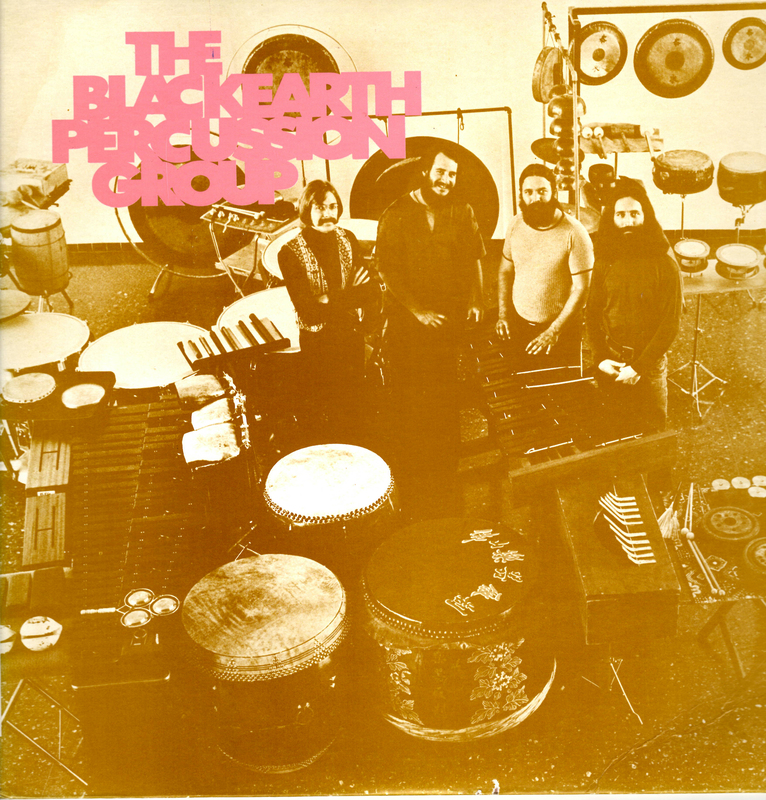 The Blackearth Percussion Group was conceived in 1971, formed in 1972 and disbanded in 1979. It was inspired in part by Jan Williams’ New Percussion Quartet of Buffalo and named after a small farm town in central Wisconsin. I was one of the original group members at age 22, along with my brother Rick Kvistad (28), Allen Otte (21), Michael Udow (23) and Chris Braun (18). Members joining in later years were James Baird, David Johnson and Stacey Bowers. In the last two years the group was a trio consisting of Allen Otte, Stacey Bowers and me (left to right in photo from 1977). 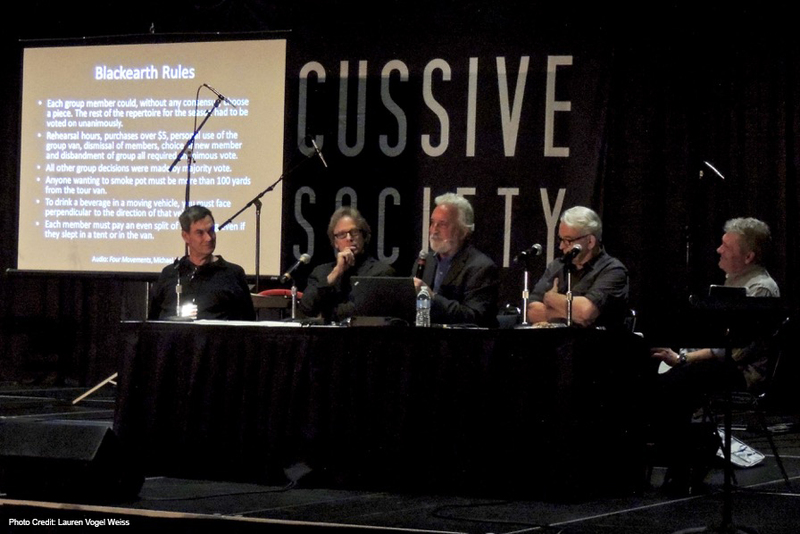 Five of the eight total members of the Blackearth Percussion Group, including Rick, Al, Stacey, David and me (Mike, Chris and Jim were not able to attend), met in Indianapolis, Indiana for the Percussive Arts Society International Convention (PASIC) in November, 2016. 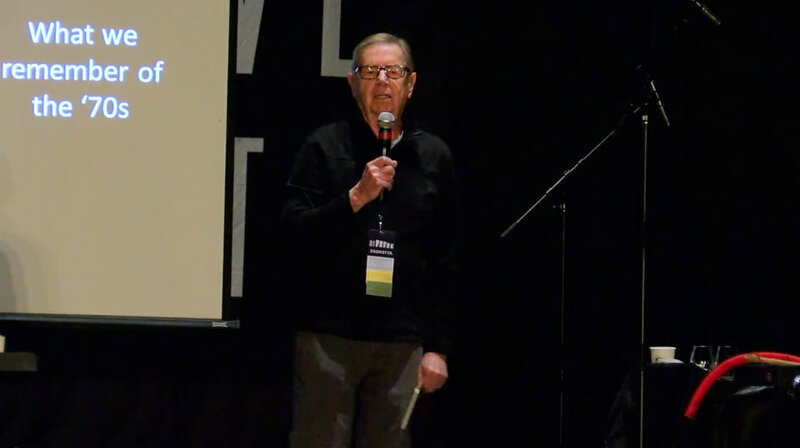 Tom Siwe, former head of the percussion department at the University of Illinois introduced us. We told stories of the seven years we were together and performed two works we had done back then. There was a tremendous turnout despite it being the last event in the afternoon of the last of four days. The Blackearth Percussion Group was together for seven years in the 1970s when we were all in our 20s. We are now in our 60s (one in his 70s). There is still much interest in the group today, even amongst young players who weren’t born during the group’s tenure. Blackearth residencies included the University of Illinois in Urbana (one semester), Northern Illinois University in DeKalb (four and a half years) and the College-Conservatory of Music in Cincinnati (two years). Blackearth performed 38 world premieres, gave 157 concerts in the US, Canada and Europe, made three recordings, and commissioned many compositions. After Blackearth disbanded, the members went on to hold prominent orchestral positions, teach at leading universities, perform with various chamber music ensembles, author papers, compose, create/run businesses and promote percussion music around the world. The group is credited for “rediscovering” John Cage’s Third Construction shortly after the manuscript was made public. Blackearth performed it throughout the US and Europe beginning in January of 1977. We worked with many composers and performed works composed by members of the group as well. Several pieces, including complex works, were performed by memory, which was fairly novel at the time. While the group mainly played written works, improvisation was also part of many concerts. The use of film, electronics, theatrical intermedia and homemade instruments were an important part of programming. One of the works we did at PASIC was an improvisation performed while a film of electronically generated Lissajous figures by composer Ronald Pellegrino called Paths (1972) was shown. The other work we played at PASIC was one entitled Apple Blossoms by Peter Garland (1972). This beautiful, quiet composition is played solely on marimba(s). The title and some of the impetus of the piece came from the André Breton poem “On me dit que la-bas.” Musically, the piece derives from the four-note scale F, A-flat, B-flat, and C, which is found in some Chippewa music. The Blackearth Percussion Group was innovative and influential for the seven years of its existence and beyond. Blackearth performed several concertos with orchestras, experimented with micro-tonal tuning systems, incorporated a vintage 5-octave marimba to add bass notes not common for that time period, commissioned/premiered many works, was one of the first percussion groups to write and perform music of the minimalists, played arrangements of the ragtime music of George Hamilton Green and developed several multi-media productions. We are gratified that our work lives on and were honored to be asked to perform at PASIC 2016.